We are happy to invite you to our brand-new #orclapex community competition. APEX is known as one outstanding transactional application builder. These applications are usually data-centric. What would be more interesting than to develope an impressive dashboard to show off the possibilities APEX has to offer? 01 - We will only accept APEX 5.0 applications using Universal Theme. 02 - The application must be developed and documented in German or English. 03 - All contestants have to use the same set of data (link, source: GENESYS DB of the Federal Statistical Office of Germany). 04 - Only one submission containing one dashboard page per contestant. 05 - The dashboard application has to be released as open source (MIT license). 06 - The application must be able to run on Chrome and IE 11. 07 - The submission must be a "Packaged Application". No further installation steps are allowed. 08 - The application is not allowed to contain DDL or DML scripts. 09 - The application must be able to be tested with an Oracle DB 12.1 and APEX 5.0.3. 01 - Submission must be solely owned by the submitter - not the submitter's company or corporation. 02 - The organisers and 3rd party affiliates have the right to make the submission available for download to the public. 03 - Code will be released to the public as open source code under the MIT license. 04 - Any third-party used artwork or code must be declared and have an appropriate license. 05 - The organisers holds no legal responsibility for the distribution or use of this submission. 06 - Entries must be submitted by Friday April 01, 2016 23:59 at the latest. 07 - Entrants may submit one submission. 08 - If multiple people work together as a team then only one person can represent the team to accept prizes, etc. 01 - The submitted application must be uploaded as a zip file (maximum 10 MB all files included). 02 - This zip file has to include a short description of the application (incl. the addons) and a screenshot. 03 - The zip file has to be uploaded via the upload area on this page. Carsten Czarski Carsten has been a senior system consultant for Oracle since 2001. He is the current DOAG ambassador. Sabine Heimsath Sabine is a senior Oracle APEX consultant. 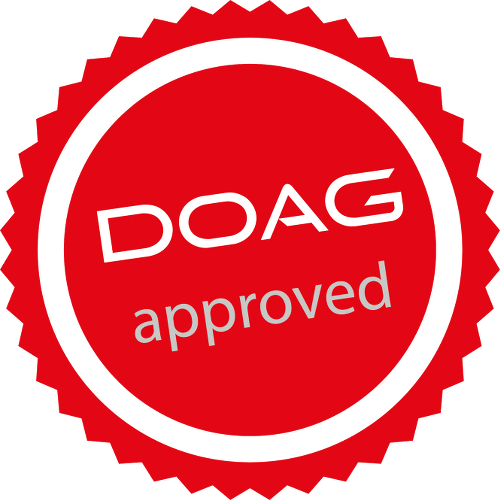 She is a DOAG delegate and a member of the DOAG Development Community. Niels de Brujin Niels is the business unit manager of MT AG, Oracle ACE and he is responsible for the APEX subject at DOAG. Denes Kubicek Denes is a senior Oracle APEX consultant, ACE Director and famous for his APEX example application. Jürgen Schuster Jürgen is a senior Oracle APEX consultant and the man behind the community website apex.world. You can win one of these prizes! IT Consulting company with high priority on APEX.